nice kbls! great to know ppl cnr... er...yah i also notice..the 2nd pic..the spots..eerie..
nice catch & nice release ! 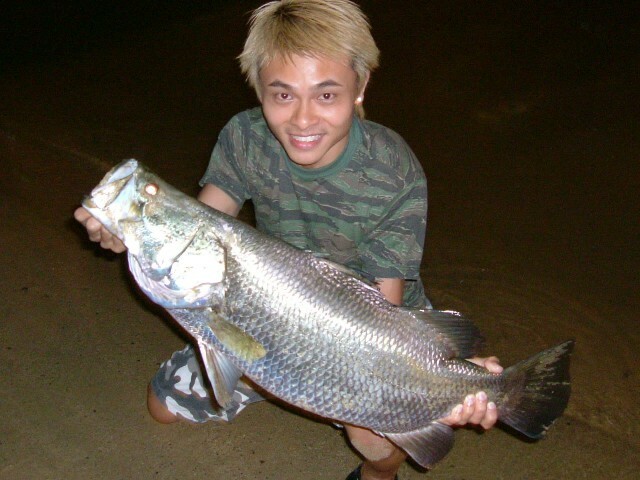 Went fishing with a few friends last night at my friend's secret spot.... Kena 2 KBLs... not me but my firend. 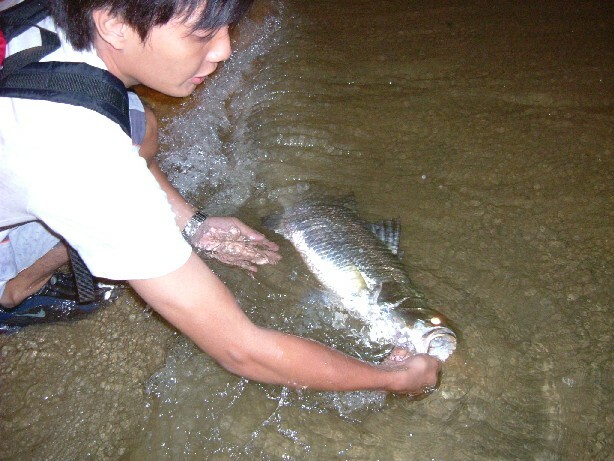 I just borrowed the 2kg fish to take photos... My 1st time seeing a live wild approx. 10kg KBL... really stout & fat man! Both were released back safe & sound. wayne bo jio me one. prp opening u going ? or still tj. Went back to the same area last night... only one hit, around the same size as the one above. 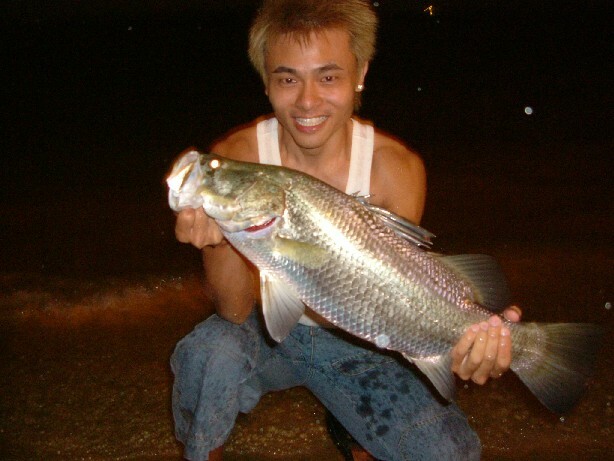 Go fish alone hor... never jio me...you steady leh..
[quote="waynerh"]Went back to the same area last night... only one hit, around the same size as the one above. 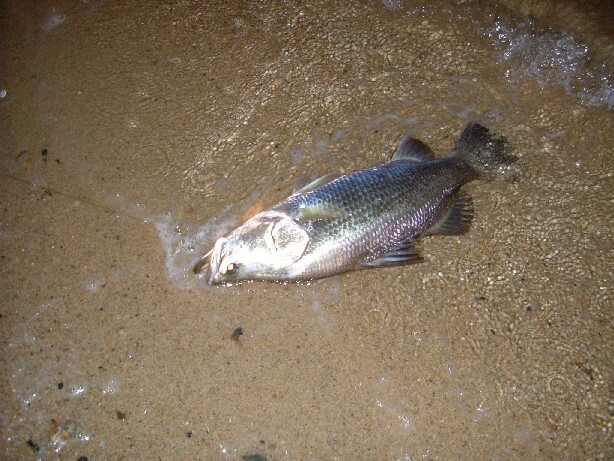 Our local shore still do hold some good quality fishing grounds. Ones must do a lot of recceing, trial & error use different approaches and lastly do not give up on a spot if you think is good. I belived, ones whom has such determination can also land such a biggie..if not one, two at least. But importantly, practice catch and no tah pow please. [quote="chineseguy_1979"][quote="waynerh"]Went back to the same area last night... only one hit, around the same size as the one above. can i noe izzet luring or bait??? wat kind of rig to use if baiting? 2x( C-O-C-O-N-U-T 3) mean anything to you in regards to the spot? Use live prawns, rig used was just a leader with split shot. [quote="waynerh"][quote="chineseguy_1979"][quote="waynerh"]Went back to the same area last night... only one hit, around the same size as the one above. Paisei bro, it's my friend who brought me there ... hope you understand.